GROZNY, June 27. /TASS/. 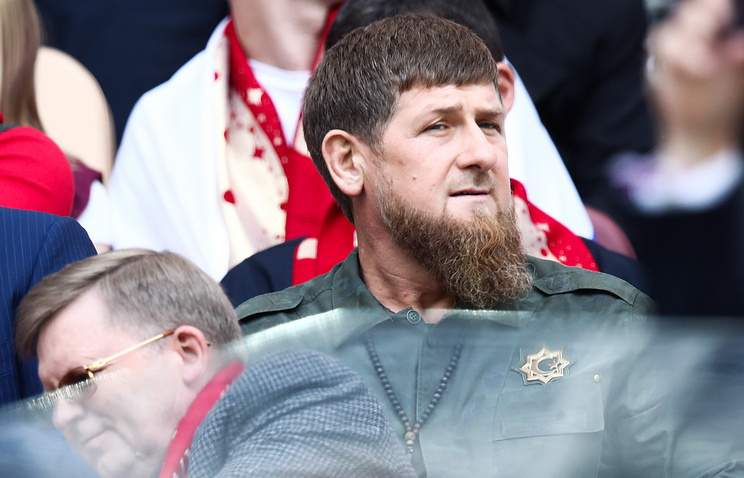 Egypt’s national football team was pleased with its stay in the Chechen capital Grozny and voiced no complaints, Chechen leader Ramzan Kadyrov said while meeting with a group of Russian bloggers touring the North Caucasus republic. "We gave a recommendable reception to the Egyptian football team. No complains have been voiced. On the contrary, they expressed gratitude and admiration," he said. "As far as rumors of Mohammad Salah’s decision to retire because of Ramzan Akhmatovich are concerned <…>, it’s just our enemies’ gossips," he said. CNN reported on Sunday that Liverpool forward Salah was considering quitting the national team after his meeting with Kadyrov had become a major talking point at the World Cup. On Monday, media spokesperson of the Egyptian Football Association Osama Ismail said Salah did not inform anyone about those plans. The Egyptian team, based in Grozny, lost all the three World Cup group stage games - to Uruguay (0:1), Russia (1:3) and Saudi Arabia (1:2).